INDIANAPOLIS (CNS) – Violinist David Bartolowits played his last concert with the Indianapolis Symphony Orchestra Dec. 23, 2016, winding up his 35-year musical career with a heartwarming Christmas concert. A little more than a week later, he began ministry as director of catechesis for St. John the Evangelist Parish in Indianapolis. Six months later, he was ordained a deacon for the Indianapolis Archdiocese and has continued to serve at St. John since then. Although he laid down his violin to minister in the church full time, Deacon Bartolowits still makes beautiful music, a symphony of faith. For him, music and faith are deeply intertwined. Each has sharpened his appreciation of the other. For the deacon, entering into the great works of classical music is like reading sacred Scripture. 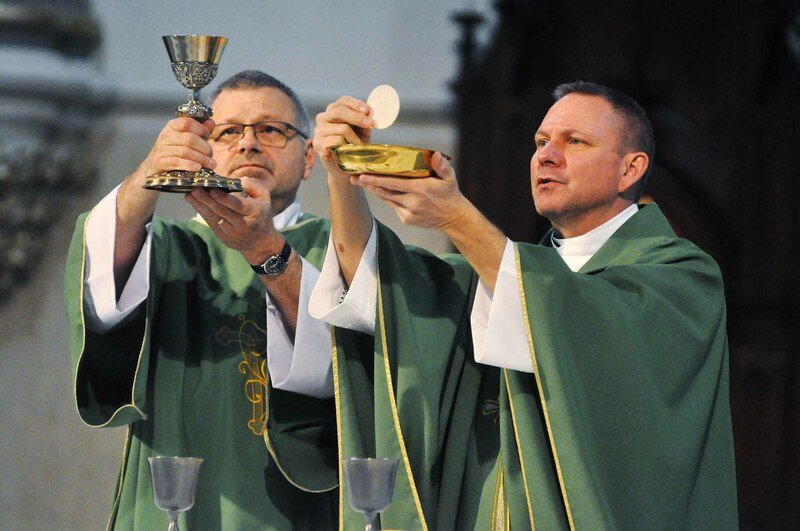 “When you read a passage of Scripture, it speaks to you differently each time you hear it,” Deacon Bartolowits told The Criterion, newspaper of the Indianapolis Archdiocese. Deacon Bartolwits’ love affair with music and his faith grew in different ways at different times. He gained a passion for music while at attending high school in Pittsburgh. He later studied violin performance as an undergraduate student at Pittsburgh’s Carnegie Mellon University. After graduating in 1981, he was hired by the Indianapolis Symphony Orchestra and stayed there until he retired. When his children became young adults and began to question the faith, he began to delve more deeply into it. A retreat at St. Meinrad Archabbey in St. Meinrad, Ind., led Deacon Bartolowits to participate in the monastery’s oblate program, a way for lay Catholics to practice Benedictine spirituality. This ultimately led to him considering that God might be calling him to be a deacon. The archdiocese’s deacon formation program, though, would be challenging for him. It meets one weekend per month most months of the year. And it’s on weekends that the Indianapolis Symphony Orchestra plays most of its concerts. After speaking with the symphony’s leadership, he found them amenable to him taking one weekend off per month. 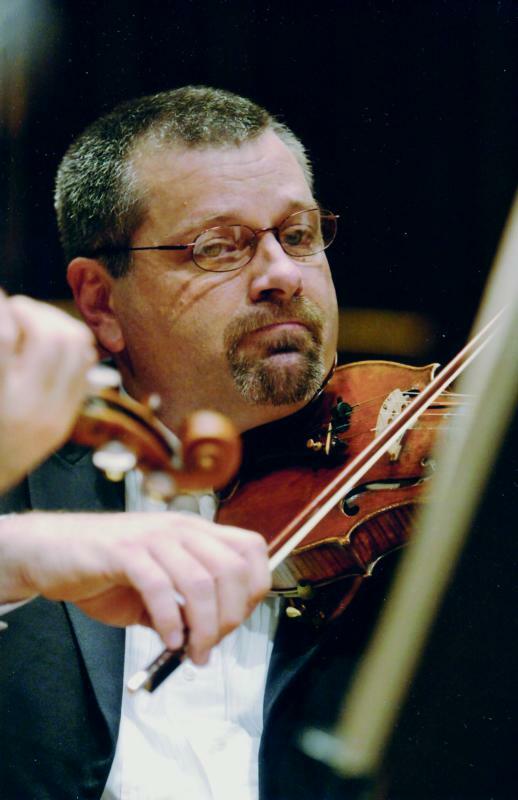 During his year of formal discernment of the diaconate and four years of formation, he thought that, were he ordained, he would continue to be a violinist in the symphony, much like other deacons continue in their careers after ordination. During his final year of formation, Deacon Bartolowits and his wife, Leslie, began considering his retirement from the orchestra. He found himself drawn to ministry and had already accomplished most of what he wanted to do as a musician. Not long afterward, Father Rick Nagel, pastor of St. John, where Bartolowits was a parishioner, invited him to consider becoming the faith community’s director of catechesis. In his ministry, Deacon Bartolowits oversees catechetical programs for parishioners of all ages, its Rite of Christian Initiation and jail ministry. He is currently helping 42 people, from ages 18 to 67, prepare to be received into full communion with the church at the Easter Vigil. Father Nagel appreciates how God used music to prepare Deacon Bartolowits for ministry at St. John. “As much as Deacon Dave is gifted as a musician, he is equally gifted as a minister in the church,” Father Nagel said.